We know that IKEA can be a bit of a drag sometimes to anyone that’s familiar with them but if there’s one thing you can’t dispute, it’s that their products are top notch quality. Also, their products aren’t expensive, so that’s another big plus to the appeal of IKEA. 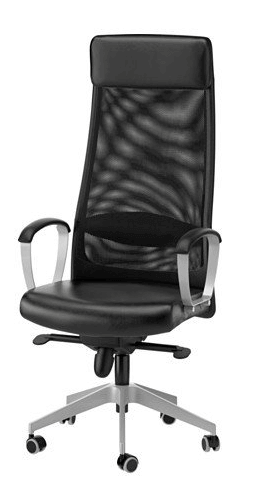 The Markus chair they’re marketing is relatively affordable and is marketed as a premium executive chair in terms of qualitry. It has an extra high backrest for people who are tall and comes with mesh interlaced material rather than leather padding. It isn’t very often that you find gamers swearing by budget office chairs, but the Ikea Markus chair deserves every little bit of the praise it gets. This chair has received some of the highest ratings ever given to a budget office chair, and it isn’t really that hard to see why. The simple yet effective ergonomic profile fits many different body types and even features a pretty great lumbar support system. The Ikea Markus chair is very focused on comfort and a healthy posture, which makes it a great choice for both gamers and professionals alike. While it doesn’t feature much in terms of extra functionality, it does possess the basics like height control and a swivel. It even comes with a tilt system and tilt tensioner! The first thing you’ll notice about the IKEA Markus is that it’s relatively tall. People 6’ or taller will be able to comfortably enjoy the chair without any complaints or problems. The lower than normal lumbar support does take some getting used to, but it actually works out for the better in the long run. Once your body grows accustomed to the unique support profile, you will start to notice healthier changes in your posture. We are actually rather impressed with an orthopedic feature like this at such a low price. The Markus also features a waterfall seat lip that makes it a lot more comfortable for taller folks, without being restrictive to averagely sized body-types. If you need the seating or height to be even higher, the chair is pretty adjustable, as most IKEA products are. It won’t be the easiest thing to adjust, but it can be done. We don’t really like the fact that we’d need to hack at the Markus to make certain changes, like adjusting the lumbar support or backrest angle. But it is pretty decent the way it is, it just takes some time to get used to. The Markus has built up a reputation as one of the easiest chairs to modify, which has made it rather popular amongst gamers and streamers who’re looking for something a little different. Not only will you get a relaxing and comfortable experience, you’ll be getting a chair that lasts for up to a decade, guaranteed. If it doesn’t, IKEA has a 10-year limited warranty on the product that allows you to send it back with no questions and no hassle. Ikea Markus is a relatively relaxing chair that can be used anywhere from the typical office scenario setting to your own personal workstation and even a gaming center. The unique design of the armrests makes it a comfortable enough experience for most body types. But if you would rather have a more tailored experience, there are many communities that take pride in modding their Markus chairs. The armrests are the easiest parts to swap and are compatible with many other Ikea chair armrests. While we think that the backrest is the most impressive part of this chair, you might want to change it if it doesn’t appeal to you. Even that is a pretty easy swap as there are quite a lot of Ikea chairs that are compatible with this one. Usually, I try to stay away from IKEA products because in the past, I’ve had a bit of trouble with them but I was pleasantly surprised with this one. I prepared for a headache in assembly but I found it was actually one of the easiest to assemble IKEA products I’ve ever had, which was a huge surprise to me. The chair is relaxing, it tilts back just the way I like and it’s really comfortable. I have no formal complaints so far and I would recommend this to anyone looking for a top-notch chair on a budget. I wasn’t expecting much because all I needed was to replace an old chair I used in my home office. It came, I put it together and tried it out. It was one of the most comfortable chairs I’d ever sat on. I love this chair and I’m so glad I made the decision to purchase this chair. When you’re looking to get an IKEA Markus, make sure that the weight capacity supports up to 250 pounds as stated by the manufacturer. Also, this chair comes with a 10-year limited warranty, which is directly offered by IKEA. As with every IKEA product, this chair will require assembly and IKEA products are infamous for being known as hard to assemble with confusing instructions, so set some time aside from your day to tackle the assembly. You also want to make sure this chair doesn’t get a lot of sunlight, because it will dry the material out. Ikea Markus while high-quality, does cost around $200 at the time of writing this ( 23rd may 2018), so don’t let yourself be fooled by any imitators trying to sell a higher priced knock-off product, which we’ve seen in some places online. Also, make sure that you’re getting a 10-year limited warranty which is given and guaranteed by IKEA. You might want to order and select the shipping for a day that you’ll have quite a bit of time on your hands because IKEA products aren’t exactly easy to assemble and they do take a little bit of patience. While IKEA does offer some home assembly for a low price for those who don’t want to mess with it, this Ikea Markus product is surprisingly as others have said, relatively easy to assemble and it comes for a good price. Sure, shipping won’t be quick but it’s worth it to wait a little longer to receive a high-end quality product like this one. 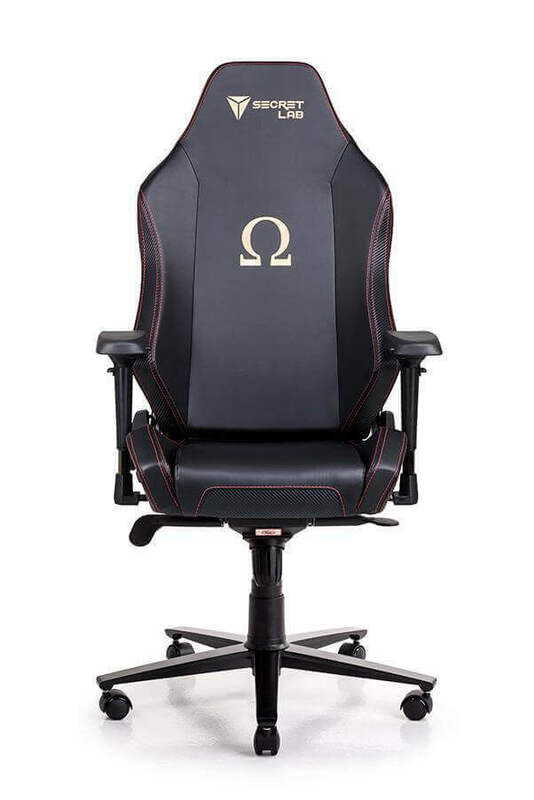 If you’ve been turned off by IKEA in the past, we would recommend giving this chair a shot, whether you’re looking for a pristine gaming chair or something that’ll keep you cool and comfortable in the office.